Joining the cast of ‘Pigalle’ at the Magic Mirrors Spiegeltent (Hyde Park) for three-week run Sydney Festival 8-27 January. Disco, circus and burlesque. More info here or on the festival website here. Beyond excited to take the stage with The Freestyle Orchestra tonight for the first of our music/aerial/fire shows for the International Storytelling Festival Austria at the Schauspielhaus Graz! Over the next 2 days we present an all-Australian program of staged works by Ross Edwards (excerpts from ‘Maninyas’) Chloé Charody (‘Dance of the Firebird’ and ‘Phoenix’ caprice) and Daniel Masmanian (‘fire is mine ears’). So grateful to these amazing composers for all their beautiful support (so important when creating something new!) and for trusting us with their incredible music. Working with living composers rocks! New fire piece at Mosaïque Wien! Back for Mosaïque Wien this weekend for a Shakespeare themed Mini-Festival! Performing violin/fire eating/manipulation alongside one of my partners in crime from The Freestyle Orchestra, violinist/fire artist/acrobat Farid Feyzullayev, for our semi-choreographed version of the solo violin work ‘Fire is in mine ears’ by the seriously talented composer/conductor/pianist Daniel Masmanian (UK/Australia). Our most ambitious fire work to date, we cannot wait to share it with you!! These things cannot be done without an awesome team; special thanks to Antonio Chorbadzhiyski (safety) and Georgina Oakes (rehearsal support). 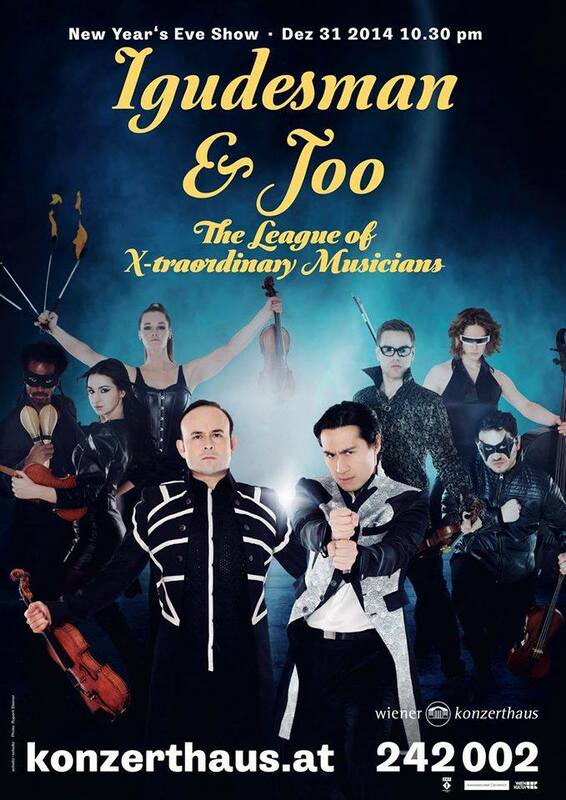 Event also features the Vienna Theatre Project, Chanda VanderHart, some brilliant singers and musicians, a distinct possibility of some puppetry and fencing, and catering from the vegetarian chef-duo ‘Food of Love’. Details and tickets here! Delighted to be joining the team at Mosaïque to reprise the opening show from this season “CIRCUS” under the Big Top in collaboration with Zirkus Pikard. 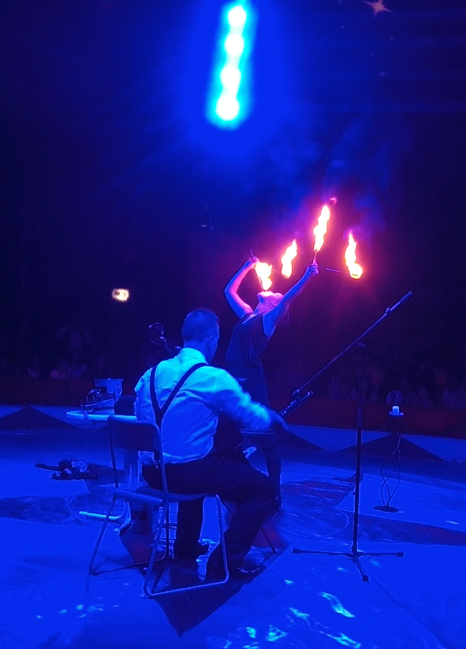 This Saturday, June 13th at 7PM, we’ll be in the red and white tent at Aupark, Klosterneuburg, joining the crew of Zirkus Pikard for an evening of classical music combined with trapeze, juggling, aerials, fire and a host of other surprises. I will perform excerpts from ‘PyroViolinist’ fireshow with the amazing Chanda VanderHart and other violin madness including Saint-Saens Introduction & Rondo Capriccioso featuring the incomparable Deirdre Brenner as pianist/mime and excerpts from Ravel Sonata no. 2 featuring juggler Alexander Schneller. Popcorn and cotton candy await so come on down, will be a fun night!